I've joined a nail art challenge on Instagram this month hosted by nail art geniuses Lindsey of Wondrously Polished and Kelli aka @kellimarissa and today is the first of a month of winter themed prompts - Snowflakes! I deliberately picked colours that aren't typically wintery and ended up with navy blue and peach because I find the combination completely irresistible. 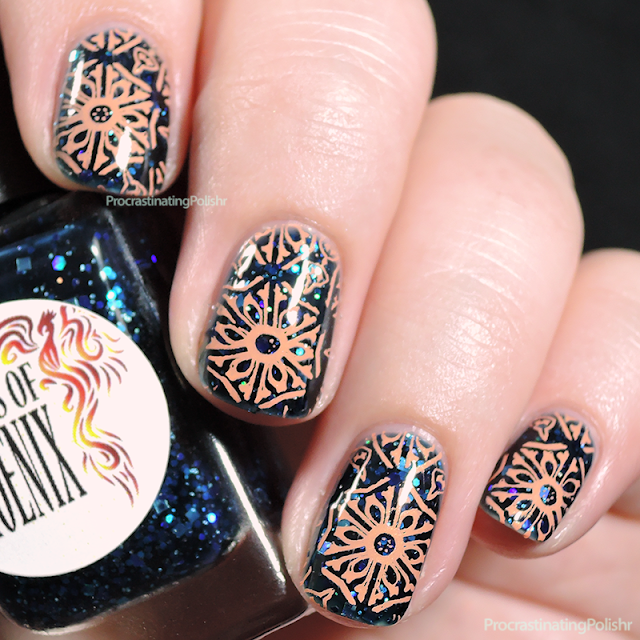 I used Wheeze Groan, a limited edition Doctor Who inspired glittery jelly from Shades of Phoenix and stamped with Let's go to the Peach from Hit the Bottle. The snowflake image is from Pueen 17. 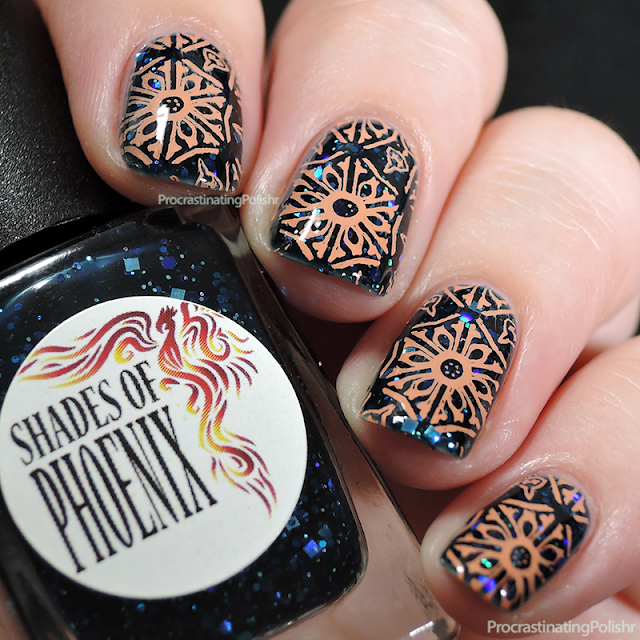 I love how crisp the stamping looks on top of the squishy jelly polish! You can check out Themed Thursday on Instagram - there are already a whole lot of gorgeous snowy nails under the tag #ThemedThursdayJan!